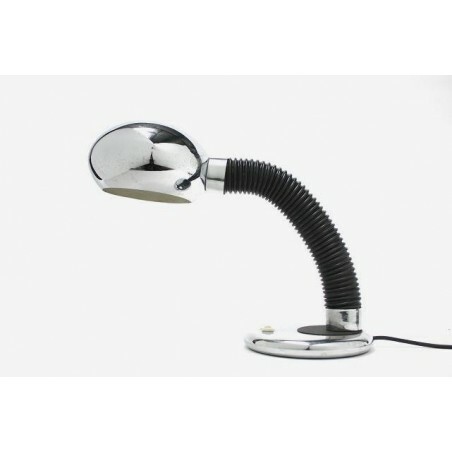 Desklamp from the 1970's. 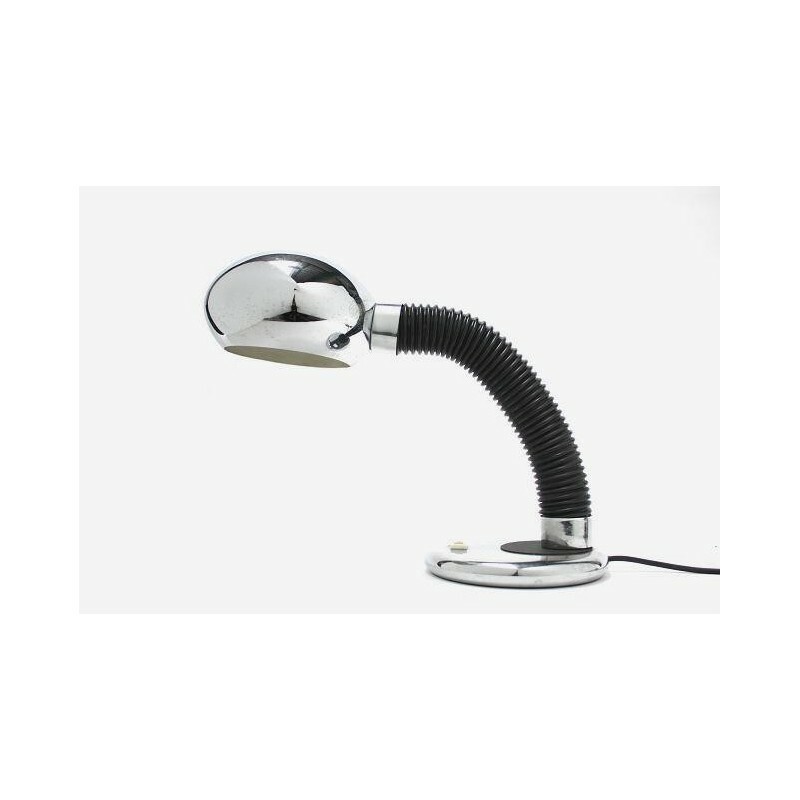 The lamp has a chrome base and shade and has a flexible arm. Teh condition is good, see also the detailed pictures. The dimension is maximum 35 cm high and the shade is 18 cm in diameter.